Chapter 19 J - Can Food Corrupt Our Perfection? 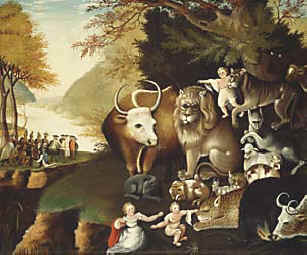 In the Garden of Eden, God created a myriad of plant foods for us and the animals to enjoy, and as He looked back upon all that He had made, He saw that it was "very good" (Genesis 1:11-12, 29-31). In this portion of the nineteenth part of John Wesley's A Plain Account of Christian Perfection, Wesley records a question, presented at the conference, which seeks to corrupt not only Wesley's concepts of Christian perfection, but the creation intent of God. "Question. But can anyone who has a pure heart prefer pleasing to unpleasing food, or use any pleasure of sense which is not strictly necessary? If so, how do they differ from others? (3) they use them sparingly, and not for the sake of the thing itself. "This being premised, we answer directly: Such a one may use pleasing food, without the danger which attends those who are not saved from sin. He may prefer it to unpleasing, though equally wholesome food, as a means of increasing thankfulness, with a single eye to God, who giveth us all things richly to enjoy; on the same principle he may smell a flower, or eat a bunch of grapes, or take any other pleasure which does not lessen but increase his delight in God. Therefore neither can we say that one perfected in love would be incapable of marriage and of worldly business; if he were called thereto, he would be more capable than ever, as being able to do all things without hurry or carefulness, without any distraction of spirit. The premise that Wesley addresses is that there is no imperfection with our enjoying food as long as such food does not become an idol before God. As an example, we would enjoy and thank God for the food before us, whether or not it was seasoned with salt. We rarely use salt in our recipes, and it's amazing how we never miss it. Our taste buds have adapted and we have noticed the true flavors of the various plant foods coming to the foreground, which enhances our enjoyment in eating them as well as our thankfulness. Wesley doesn't even mention the animal issue, which is quite curious when we consider the fact that he was a vegetarian; however, on the other had, he doesn't mention any animal foods. Perhaps part of the reason is that people didn't eat animal flesh to the extent that people do today. 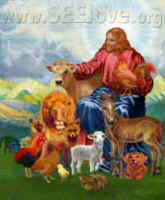 When we consider that it takes approximately 15 times more farm land to produce animal foods than it does to produce plant foods, and that one third of the world is over-fed, mostly on animal foods, and that another third of the world is hungry, then we not only have made animal foods an idol, but we have ignored those whom Jesus told us to feed (see the previous chapter). Since there is no pain or death in heaven, as we are told in Revelation 21:4, and since Jesus told us to be perfect as our Father in heaven is perfect (Matthew 5:48) and to pray that our Father's heavenly will be done on earth as it is in heaven (Mathew 6:10), isn't it logical that having suffering and death on people's plates compromises Christian perfection? We believe it does! Go on to: Chapter 19 K - Can Children be Born with Perfection?